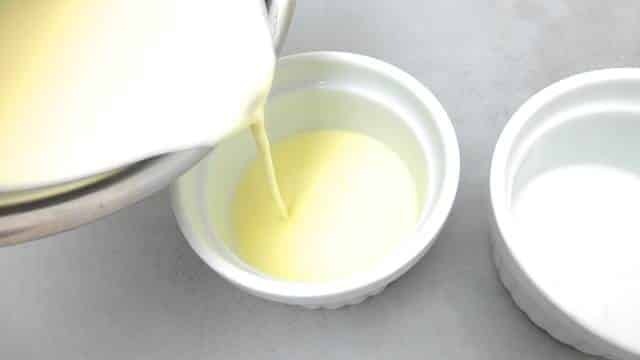 Lemon Panna Cotta with Yogurt & Cream | Simple. Tasty. Good. Here’s my dessert back up plan: lemon panna cotta with yogurt. I will always make sure that whenever I throw a dinner party everything is prepped a day in advance because when my dessert fails, then I still got plenty of time to rely on this one. My fail proof panna cotta! 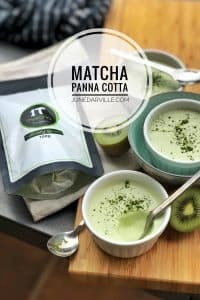 It has it all: it is creamy, smooth, flavorful, light, refreshing, melts in your mouth… In the end when you pour the panna cotta mixture into the ramekins, you might thing: gosh, this looks way too runny! But believe me. Just let it cool down for a couple of minutes, pop it in the fridge and let the gelatin work its magic. You’ll see! You can choose to serve the panna cotta in its ramekin or flip it over and serve it on a plate. Here’s how you can do that best: run a sharp knife around the edge of the set panna cotta to loosen it a little. Then warm a little water in a saucepan and place the ramekins in it for just a couple of seconds. Mine only took about 10 to 12 seconds. If you leave it in the warm water for too long, your panna cotta will become runny again. Then place a plate on top of the ramekin and flip it over. If the panna cotta isn’t moving, put it in the warm water again for just a handful of seconds and then try again. Garnish the panna cotta with whatever you like. I love to add colorful elements until I get a vibrant looking dessert plate: fruit coulis, berries… This time I kept it pretty simple however: I went for sliced lemon and chopped mandarin this time. Enjoy! Looking for the KitchenAid Cook Processor recipe? Then scroll down to the second recipe here on this page! Love desserts with yogurt? Then also check out my yogurt cake with almonds and honey! 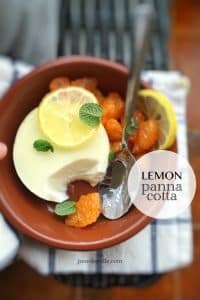 Here’s a great treat you will love on a hot summer’s day then because it is refreshing and zesty: my lemon panna cotta dessert! 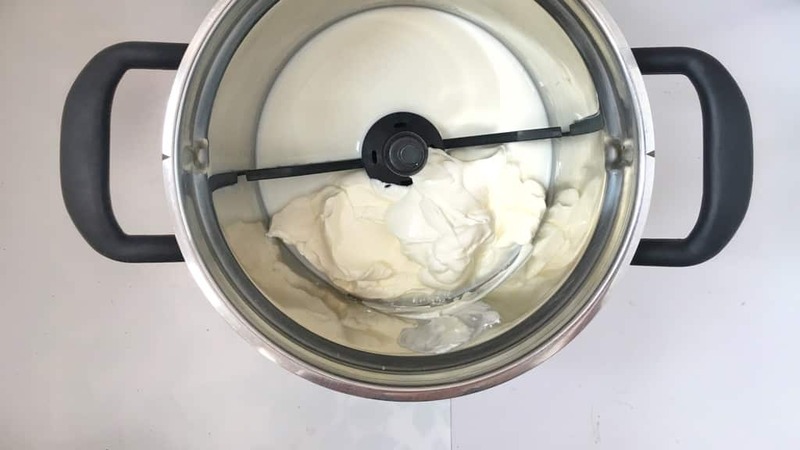 And it’s also a winner recipe straight from my fabulous KitchenAid Cook Processor… This is the perfect kitchen device if you want to make panna cotta because of a couple of reasons: the constant temperature level, automatic stir feature and the perfect timing. 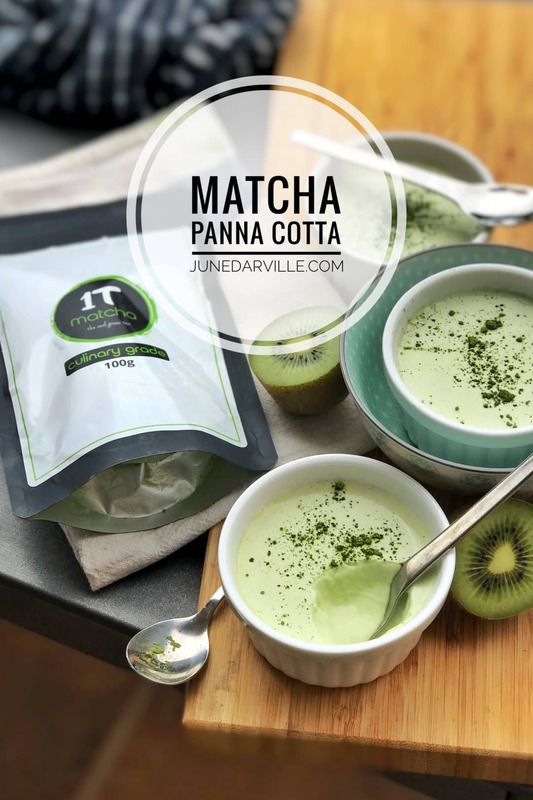 Do you love making panna cotta? Then check my sour cream panna cotta with strawberry salsa! Enjoy! Soak the sheet of gelatin in cold water. Add the Egg Whip to the bowl of the Cook Processor. Then also add the cream, milk, icing sugar and (Greek) yogurt. Close the lid and remove the measuring cup. Select STEW P1 and press Start to activate the program. After that press cancel to exit the keep warm mode. 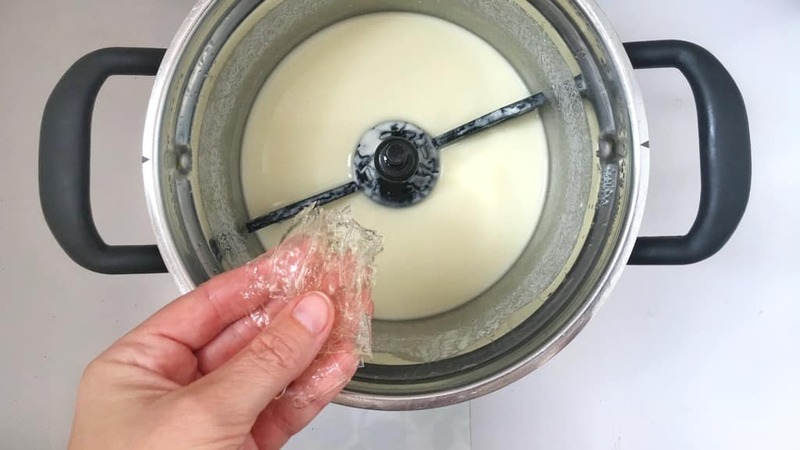 Then squeeze the soaked gelatin well and add it to the bowl (if you're using granulated gelatin, sprinkle it on top of the warm yogurt mixture). Also add the lemon juice. Close the lid again. Set the speed to 2 and leave to machine to run for 2 minutes. In the meantime lightly grease 2 small ramekins with some vegetable oil. Then pour the warm panna cotta mixture in the ramekins and place them in the fridge. Chill the panna cotta for at least 8 hours (preferably overnight) in the fridge until set fully. Then run a sharp knife along the sides of the ramekin. The panna cotta should easily come away from the edges if you oiled them well. Place a plate on top of the ramekins and turn them over. If this doesn’t work, place the ramekins in a warm water bath for just a second (or the panna cotta will become runny). Garnish with extra fruit and serve. Sorry to be an intrusive demanding lacto-ovo vegetarian, but has anyone ever made these with non-animal-based thickeners (i.e. other than gelatin)?